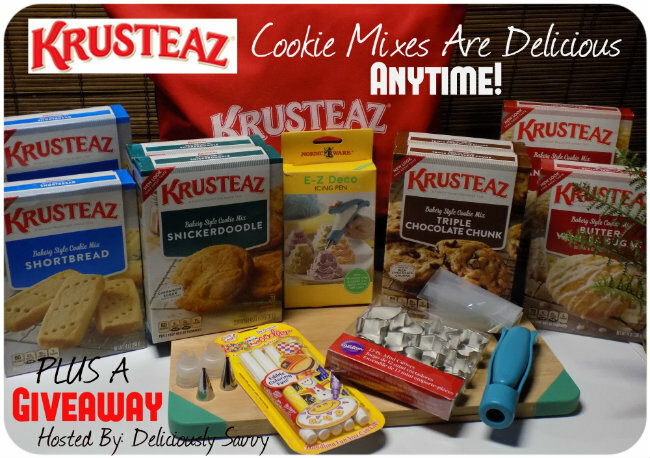 Mom Knows Best : The Krusteaz Cookie Giveaway! 2 Boxes each, of the following Krusteaz Cookie mixes: Shortbread Cookie Mix, Snickerdoodle Cookie Mix, Triple Chocolate Chunk Cookie Mix, and Butter Vanilla Sugar Cookie Mix. This giveaway will end at 11:59PM (EST) on 01/14/2017. Snickerdoodle is my favorite cookie. That is the mix that I want to make first. My favorite is chocolate chip so I'm most interested in the Triple Chocolate Chunk, of course. I love chocolate chip and peanut butter cookies. I want to try the Triple Chocolate Chunk Cookie Mix. Chocolate chip is my fav and I want to try the triple chocolate chunk!